Added by admin on July 9, 2018. The Trump administration is expected to miss a 10 July deadline to reunite young migrant children who were separated from their parents at the US-Mexico border, the American Civil Liberties Union (ACLU) says. 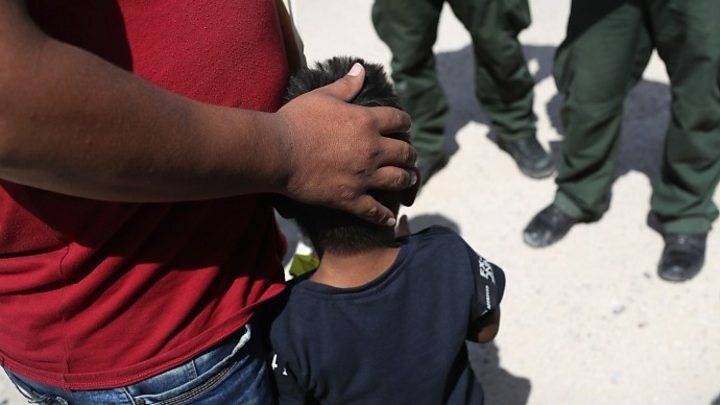 After viewing a list of the 102 children under the age of five in the government’s care, the ACLU said “it appears likely that less than half will be reunited” by then. But despite mounting legal and social pressure, immigration authorities have offered little information about reunification or what comes next. Lawyers have begun to speak out about the conditions, describing migrant toddlers clambering on court desks during hearings, forced to appear in court alone while their parents are detained. Fellow Florence Project attorney Maite Garcia currently represents four- and six-year-old siblings from Mexico whose mother is in custody, awaiting her asylum hearing. The six-year-old is blind, but has been working with Ms Garcia since her younger brother is nonverbal – “in part because he’s traumatised”, according to Ms Garcia. “She’s finally understanding after many, many meetings that she risks deportation and so now she’s more frightened than ever of returning. “She’s been able to confide to me that she’s fleeing violence in her home country and doesn’t want to return because she’s afraid of, as she puts it, ‘bad things happening'”. Oregon lawyer Lisa LeSage from the nonprofit Immigration Counseling Service (ICS) firm says the children often do not even know what a lawyer is. “Often times with the young children, they might be crawling around or playing with a pen,” Ms LeSage told the BBC of her in court experiences. ICS currently has around five children they have confirmed were separated from their parents at the border, but the numbers keep changing. Much of the confusion around reunification stems from the fact that adults and children go through two separate immigration systems controlled by two different agencies. Adults must go through the Department of Homeland Security (DHS) while children classified as unaccompanied minors are in the care of Health and Human Services’ Office of Refugee Resettlement (ORR). Judge Ashley Tabaddor, president of the National Association of Immigration Judges, has volunteered with juvenile immigration cases in Los Angeles for years. She told the BBC the current migrant crisis has exacerbated the existing challenges of handling children’s cases. “It makes it even more difficult for the attorneys and for the court to ensure fundamental fairness because we need to ensure the proper adults are involved to fully protect the child’s interests,” she says. “These are not unaccompanied children,” Judge Tabaddor says. She added that now, many parents are “agreeing to whatever the government is asking for, to get their children back”. In June, President Trump called for deportation “with no judges or court cases”. Press Secretary Sarah Sanders later echoed Mr Trump’s comments. “Just because you don’t see a judge doesn’t mean you aren’t receiving due process,” Mrs Sanders said. Judge Tabaddor of the NAIJ said the organisation “respectfully disagree[s]”. “Due process and these situations require a person to present their case before an independent decision maker,” she says. Ms Garcia called any rollback on due process protections “a step in the wrong direction”. “Reunification is absolutely important. 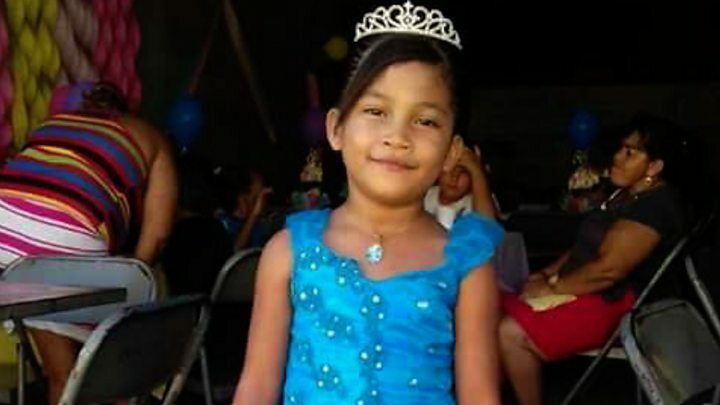 We advocate for the release of these families together – not family detention,” she says. Since immigration cases are civil cases, legal counsel is not automatically provided. For migrants, finding legal representation can be next to impossible without help from non-profit organisations. What might happen in the coming days? Judge Tabaddor says if immigration cases for children are pushed through before reunification, parents could unintentionally lose legal rights to their child. But staff at the Florence Project told the BBC it’s still too early to worry about court rulings. For now, ensuring migrant families have access to legal counsel and trauma care are the primary concerns.